We are pleased to announce the winner of our 2013 Share Your Passion Scholarship – Michael Benjamin. We were fortunate to receive many great entries from passionate young students who genuinely wish to use their passions in order to help others; therefore, choosing a winner was not an easy task. Nonetheless, after reviewing all the entries, we decided that the clear winner was Michael. Michael entered a beautifully written essay in which he talks about his passion for running. He talks about the great impact running has had on his life and how running has presented him with many opportunities for a better life. Michael describes how running helped him escape certain negative paths that many young people around him were taking; in essence, it allowed him to stay out of trouble. Running also motivated Michael to excel in school, because it allowed him to see the benefits of hard work and determination, leading him to decide to use that same approach in his education. Although Michael does not necessarily want to pursue running as a career, he hopes to use his passion to motivate others to be health conscious and to follow their own passions. 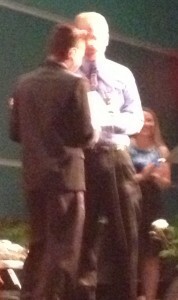 We are thrilled to be able to acknowledge Michael’s hard work and passion. We know Michael will be successful in whatever path he chooses. Please take a moment to read Michael’s essay and share it with others. To learn more about future scholarship opportunities, follow us on Facebook to get notified of the latest updates and/or sign up for our monthly newsletter. We provide tutoring in Chino Hills, Rancho Cucamonga, Eastvale, Chino, Mira Loma, Alta Loma, Ontario, Corona, Norco, and all the surrounding cities. We have students from Sky Country Elementary, Oxford Preparatory Academy, Heritage Oak Private Education, Townsend Junior High School, Roosevelt High School, Alta Loma High School, Norco High School, Centennial High School, Chino Hills High School, Ontario Christian High School and Ayala High School. 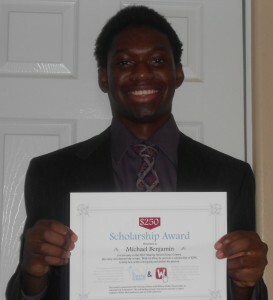 Winner of the $250 Share Your Passion Scholarship Contest: Michael Benjamin of Eleanor Roosevelt High School! Numerous bullets ring through the air like deadly fireworks across the dark sky. Two figures scramble behind cars as chaos once again fills the streets. While my mother and her friend were caught in the middle of a gang shooting, I was ready to be born. My mom’s friend did not know what to do as my mother muttered to her, “Just run.” They were able to escape unharmed and, because of this, I was given the opportunity to tell you about my passion. I am passionate about running. I have been running for as long as I can remember. Where I grew up, running served as a means of staying away from trouble. I fell excitement and adrenaline pumping through my body with every step I take. My parents both ran track and field, so I was destined to be a runner. I have a passion for running, because it relieves my stress, and it saved my life. Dating back to my elementary school year, I was encouraged to join my school’s track team as my teachers and peers observed a talent in my running ability. Joining my elementary school’s track team enhanced my love of running. I saw my teammates every day at practice. It was as if I had a second family. I pushed them to their limits; they pushed me to mine. I felt at home. I attended rigorous practices under the difficult condition that I had to walk several miles to get home. Due to the fact that my parents were at work while I was at practice, they could not pick me up from school. Although I was an elementary school child and it would have been easy to give up track for the comfort of a ride home, I assured myself that sacrifices were necessary for what I loved doing. After all, I had already developed a special relationship with my competitive muse. 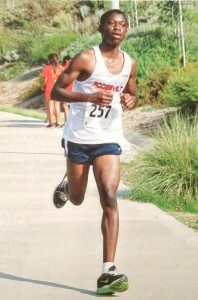 Running is my passion, so I did anything to continue running on the track team. Running became more than an exciting activity for me; it became a reliever of stress. On any occasion that I was encountered with a stressful situation, I merely ran to alleviate the weight on my shoulders. I was never the greatest runner, but I put the greatest effort into my craft. I made the sacrifices to run on my elementary school track team, a team that I would soon be disconnected from when I progressed to junior high school. My memories with that team will forever be cherished. This period in my life represented a significant epiphany for me. I realized that, if I could put into my schoolwork half the effort that I did into my running, I could excel in my academic endeavors. As I grew up, I lived my life with the mentality I developed as a youth, enjoying a simple activity that game me life. Because I have developed a strong relationship with running, I intend to share its impact on me to others. I strive to be a lifelong runner regardless of whether or not I run for a track team. With this mindset, I aim to convey to my family, friends, and peers of the impact of running on one’s health. I have already convinced my uncle to start running in the past because he has high cholesterol, and after a couple of months his doctor has observed improvement in his cholesterol. Running will always be an activity that changed my life. I would not be the same without it, and it would not be the same without me. Running did not just give me life, it has helped me shape and mold my dreams into a very tangible reality. 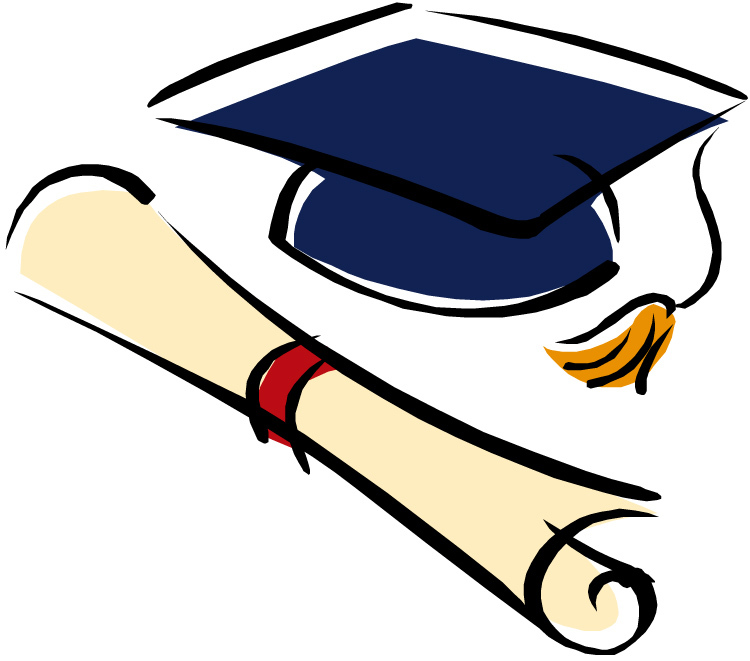 The Eleanor Roosevelt High School Senior Awards Ceremony was on Thursday, May 16, 2013. We were honored to be able to present our Eleanor Roosevelt High School Share Your Passion Scholarship to a passionate young man who has hopes of becoming a professional chef one day. 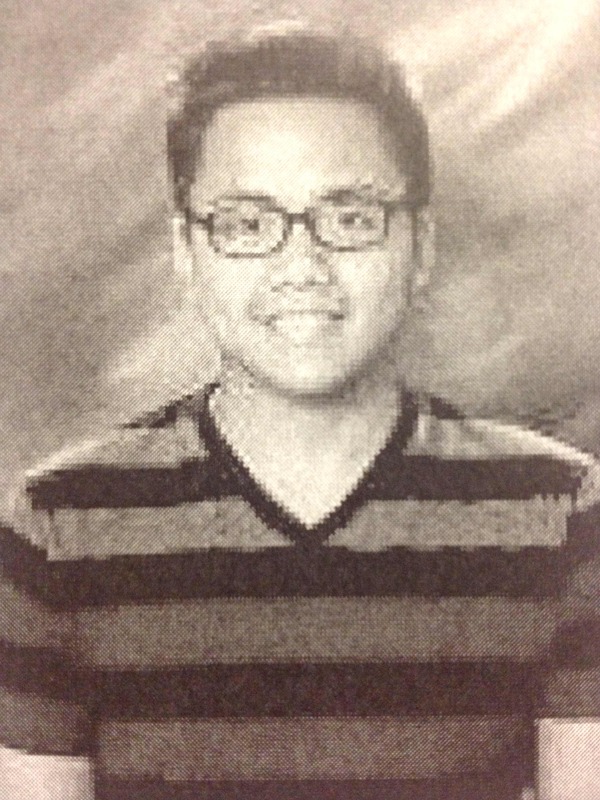 This year’s Eleanor Roosevelt Scholarship Winner was Kevin San Juan from Corona, California. Out of all the entries we received, we decided to select Kevin as the winner of this year’s Roosevelt High School Scholarship. Kevin’s essay clearly demonstrated how passionate he is about cooking and how he wishes to master his talent in order to share it with others. Although he has encountered numerous obstacles, particularly, having to fend for himself at a young age, Kevin never allowed those obstacles to get in the way of him following his passion for cooking. From an early age, it seemed that Kevin realized that achieving your dreams require a lot of hard work and determination, but he was ready to work hard to achieve his goals. Kevin is a genuinely inspiring young man, who understands the value of loving what you do as a career and how that simple act can lead to helping others as well. We know Kevin will be able to achieve his dreams if he continues to work hard. Besides thanking Kevin for his wonderful entry, we also would like to thank Eleanor Roosevelt High School and Jenna Gutman. Jenna has always been a great supporter of our organization. She has continually helped us grow our business and find ways to give back to the community – by offering these scholarships and by providing quality tutoring to so many students. We were so impressed by how hard she works to help her students. She helped organize the Senior Awards Ceremony and she continually goes above and beyond what is asked of her, because she genuinely wishes to help her student’s become successful. We really appreciate the students, teachers, counselors, and parents at Eleanor Roosevelt High School and we look forward to working with all of you for many years to come. Again, for those of you that are interested, we are still offering the $250 Share Your Passion Scholarship, which is open to students in your community. The deadline for that scholarship is June 14, 2013. To see if you, or your student, are eligible to participate, please click on the link. We will also be announcing more details about the Facebook Scholarship Contest in the very near future, so make sure to follow us on Facebook for more information. 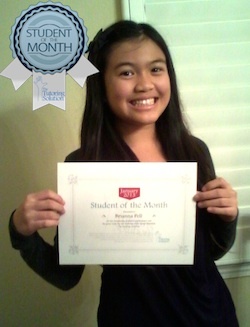 We provide one-on-one tutoring for students all over Southern California. 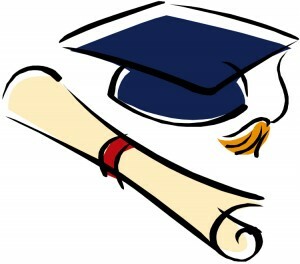 We have tutors that specialize in various different subjects. We provide tutoring in Eastvale, Corona, Chino Hills, Chino, Ontario, Norco, Mira Loma, Diamond Bar, Rancho Cucamonga, Alta Loma, Riverside, San Bernardino, Beaumont, Lake Forest, Ladera Ranch, Whittier, Pasadena, Pomona, Upland, Claremont, Monrovia, Orange County, San Bernardino County, Los Angeles County, the Inland Valley, the Inland Empire, and the Chino Valley. 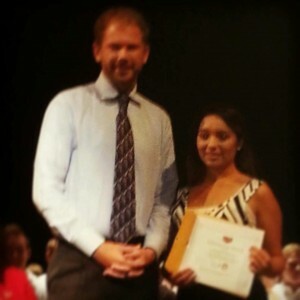 On Wednesday, May 15, 2013, we had the pleasure of presenting our Norco High School Share Your Passion Scholarship to a bright Norco High School student at her high school’s Senior Awards Ceremony. We presented the award to this year’s Norco Scholarship Winner – Alexandra Robledo. We selected Alexandra as this year’s winner, because we felt she perfectly exemplified what it is to be a passionate young adult who is well aware of what she wants to do in the future and how she will use her passion to help improve the lives of others. In her entry, Alexandra talks about wanting to become a nurse in order to help save people’s lives and improve their chances of living a longer healthier life. 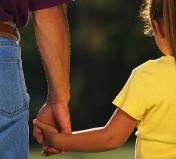 She, unfortunately, had to experience the loss of her grandmother, when she was only 10, causing her to understand how much the loss of a loved one can affect a person’s life. Alexandra felt that, with the proper care, her grandmother could have lived for many more years. Due to that incident, she realized that she wanted to be a nurse and devote her life to improving the lives of others, in order to spare other people from experiencing the same pain she did. We were very moved by her story and her determination to help make the world a happier and healthier place. Not only do we want to thank Alexandra, for her inspiring entry, but we also want to give a special thank you to everyone at Norco High School, for allowing us to present our Scholarship, and to Sherry Sanchez, for introducing us to this wonderful opportunity and allowing us to give back to the community. Thank you for allowing us to share our passion for education with your school and your community. 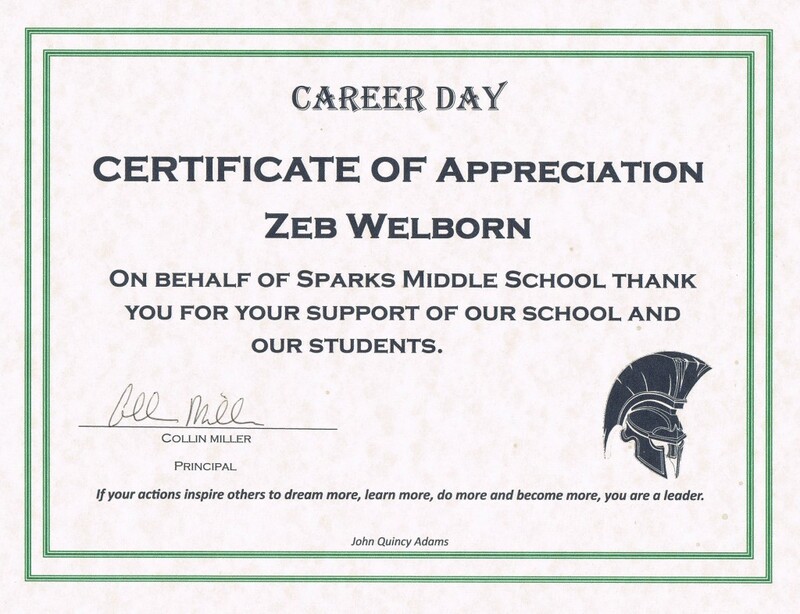 We hope to continue building on this wonderful relationship and to continue to help many more students achieve their dreams and goals. For those of you that are interested, we are still offering the $250 Share Your Passion Scholarship, which is open to students in your community. The deadline for that scholarship is June 14, 2013. To see if you, or your students, are eligible to participate, please click on the link. We will also be announcing more details about the Facebook Scholarship Contest in the very near future, so make sure to follow us on Facebook for more information. We provide one-on-one tutoring for students all over Southern California. We have tutors that specialize in various different subjects. We provide tutoring in Corona, Chino Hills, Chino, Ontario, Eastvale, Norco, Mira Loma, Diamond Bar, Rancho Cucamonga, Alta Loma, Riverside, San Bernardino, Beaumont, Lake Forest, Ladera Ranch, Whittier, Pasadena, Pomona, Upland, Claremont, Monrovia, Orange County, San Bernardino County, Los Angeles County, the Inland Valley, the Inland Empire, and the Chino Valley. It was year 2005, my mother is off to work, and my siblings are not available to help their little brother serve himself dinner because they are never home. I had to light a match by myself to cook my own dinner because my father decided to sleep early. It was just an egg. But that one little piece of chalky shell awakened my innocence in what lies behind the curtain of reality and helped me to conceive and accept my role as a human being. In a very young age, I learned to be independent at all times, since my parents are not always around, and when they do, all they concern about is how they are going to open their eyes every morning. 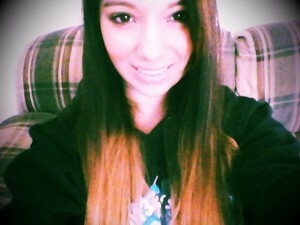 I became more mature than those children of my age. I triggered my brain into thinking that I should not rely to other people, but myself. One night, I mentioned to my mother that I want to be a professional chef, so I can get a job in the White House and cook cultural dishes that the President of the United States will never forget. She replied, “Cooking does not do any much help in the society, Kevin”. I ignore her pessimism because I know in my heart that cooking is the greatest gift I have, and it is the only thing that exist in my life that I am free to do so. Cooking can be tedious. You have to learn certain things and follow specific directions in order to achieve the great pleasure of real food. And most of the time, we forget and shambles the intended flavor into a grotesque dish. Also, cooking anticipates strong criticism by the crowd, and even though, certain things are incorrigible, cooking is the only manageable thing in my life. I know how idiosyncratic I sound but these are basic reasons why I’m passionate about cooking. In my own point of view, I can use my ability to help others by satisfying their hunger. At first, I can get a job in a restaurant, get job experience, and earn enough money so I can start my own business. I can provide all the needs of my family through services. Secondly, I will make sure that I am stable in my business, so I can start opening different branches all over the country. Then, I will volunteer to offer service to minorities. In the end, I am going to donate to community schools with Culinary Programs, so I can help those individuals who have the same dream as I do, to be a professional chef. We are pleased to announce that we will be awarding a $250 Share Your Passion Scholarship to a student, from one of the schools listed below, who enters The Tutoring Solution’s Share Your Passion Essay Contest. The winner who will be selected, from the various essay entries, must demonstrate how they will use their passions to pursue a future career and to improve the lives of others. The Tutoring Solution will select the winner. 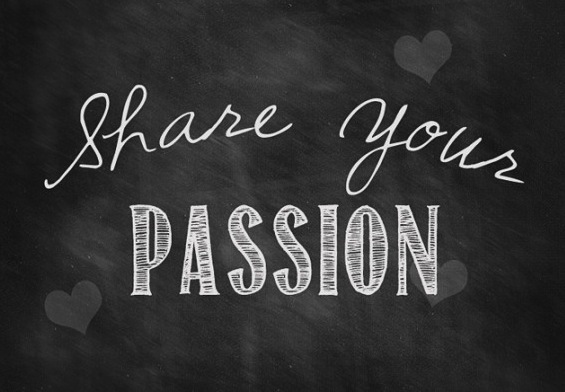 Participating in this Share Your Passion Essay Contest is easy; just read the rules below. Be a student who attends Heritage Oak Private School, Sky Country Elementary, San Joaquin Elementary, Wickman Elementary, Eastvale Elementary, Loma Vista Elementary, Oxford Preparatory Academy, Townsend Junior HIgh School, Roosevelt High School, Alta Loma High School, Norco High School, Centennial High School, Chino Hills High School, Ontario Christian High School, Beaumont High School, Damien High School, Colony High School, Flintridge Sacred Heart, Fontana High School, Patriot High School, South Pasadena High School, or Ayala High School. Submit essay via email to TheTutoringSolution@gmail.com in response to the following prompt – What are you passionate about? Why are you passionate about it? How do you plan on using your pasion to help others? Submit an essay that is no less than one page, but no more than two pages. Include your name, phone number, email address, parent’s name, and parent’s email address. 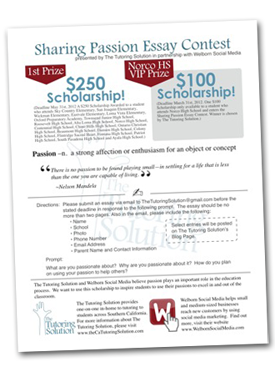 We look forward to reading all fo your essays and selecting our 2013 Share Your Passion Scholarship winner. Please let others know about this wonderful opportunity. If you would like flyers to pass to friends, family, or coworkers, let us know and we will be happy to email you a PDF file with our flyers. We provide tutoring in Chino Hills, Norco, Eastvale, Chino, Alta Loma, Ontario, Corona, Riverside, Mira Loma, Rancho Cucamonga and all the surrounding cities. We have students from Heritage Oak Private School, Sky Country Elementary, Oxford Prepatory Academy, Townsend Junior High School, Roosevelt High School, Alta Loma High School, Norco High School, Centennial High School, Chino Hills High School, Ontario Christian High School and Ayala High School.